I want you to imagine something. Imagine you have been dreaming, for a very long time, of travelling to Peru and making the climb up to the ancient Inca ruins of Machu Picchu. You can almost smell the crisp South American mountain air and hear the birds singing in the trees. Then you wake up. For most people, the chance to visit an exotic destination will always be nothing more than a dream, the cost puts it beyond reach. Or at least it used to. Now, with the rise of collaboration, people are working together to send each other on trips of a lifetime. 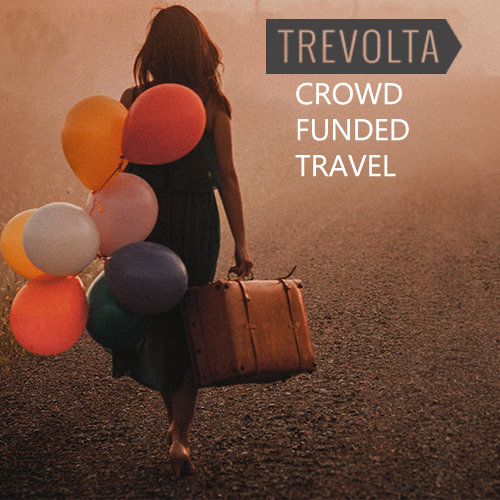 Trevolta is a fantastic service that takes the concept of crowdfunding (as seen on services such as Kickstarter and Indiegogo) and is applying it to travel. Trevolta’s concept is nice and simple. If you have a trip you have been longing to take you sign up on their website. You tell everyone where you want to go, why you want to go there, and how much money you are asking for to make it happen. Then, you wait and hope that the passion you have for your journey inspires all of the generous people out there to make a contribution to send you on your merry way. Now, I was once told that nothing in life is free, and this is no different. As with all crowdfunding platforms, investors make their contribution with the understanding that they are going to get something in return. The common theme of trips that find funding on Trevolta is that they all have a purpose. Let’s be honest, do you really expect people to pay for you to go a spend a week soaking up the sun on a beach in the Maldives? Neither do Trevolta. Successful journeys have got something unique about them that makes it worth investing in. 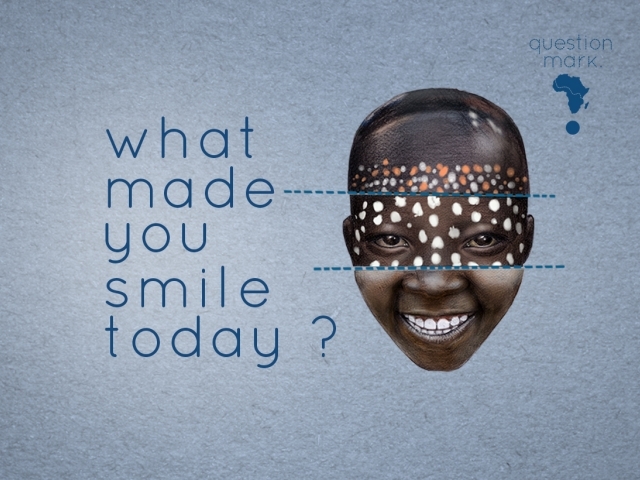 Whether it’s travelling using an alternative form of transport, such as getting from Paris to Istanbul by bicycle, or roaming around Africa seeking to find the answers to one particular question: “What made you smile today?”. Travelling is an incredible experience and Trevolta is making it possible for people to go where they have only ever dreamed. Maybe you have always wanted to take a take a trip; perhaps to photograph the noble gemsbok in the deserts of Namibia, or to travel the length of the Great Wall of China on a unicyle.If you have, then why not put your plan on Trevolta and see what happens? On the other hand, maybe you can help others to fulfil their dreams, by contributing to a journey that inspires you. This is just another way that working together we can make life better. I have been at it again. After arriving in the UK in July upon the completion of my around the world trip I settled down into my studies. However, the duties of a traveller are never over. On December the 14th I set off again, the destination this time: Thailand. This trip to Thailand was a family vacation, meaning that instead of going it alone I would be accompanied by my parents, my brother and my sister. We are a well travelled family. Whether it is a trip to Knysna for Christmas or a skiing holiday in the American North East we tend to spend time away from home as a family at least once a year. The choice of destination in normally the decision of my parents, but a tradition was implemented whereby in our final year of high school myself, my brother and my sister get to choose the destination. Five years ago I chose the Maldives. Two years later my brother (in a stunning display of originality) chose the Maldives. This year my sister stated that she didn’t mind where we go as long as it’s by the beach, hence, we went to Thailand. 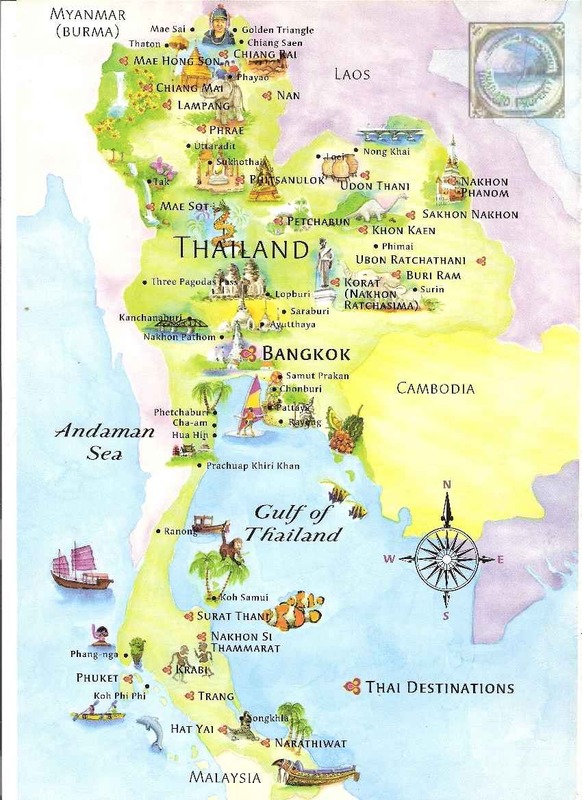 Logistically, getting to Thailand was a nightmare for me. As a result of the around the world ticket I used for my last trip I had to return to Johannesburg before the end of the year. My trip involved the 11 hour flight from London to Johannesburg, 1 hour to Durban, a 5 hour layover in Durban (during which time I went home), an 8 hour flight to Dubai, a 6 hour flight to Bangkok and finally a 1 hour flight to Phuket. Counting the time between flights and correcting for time zone changes it took me 43 hours to get to my destination…! I daresay I needed to lie down on the beach after that. Now, I’m going to go on a bit of a rant here. Before I do I want to say that I absolutely loved Thailand; it is a wonderful country full of happy, kind people and is as beautiful as any country I have visited before. It is because of that beauty that I am going to go on my rant because as much as I enjoyed my 10 days in paradise there was one thought that I simply couldn’t get out of my head: this is not going to be here is a few years time. What I expected from Phi Phi Island. We took a day trip to Phi Phi Island (one of the quintessential things to do when in Phuket if the countless tour operators are to be believed) and nowhere is the unsustainability of Thai tourism more evident. What could be one of the most beautiful places on the planet is being decimated. The multitude of boats parked side-by-side on the beach, seeping fuel into the turquoise water; thousands upon thousands of people on a beach barely large enough for a hundred, all vying for a place to lay their towel without being trampled. I was appalled. I wanted to see the untouched beaches in the pictures, I wanted to float on my back in the pristine water and listen to the calls of birds in the forest, but what I wanted simply doesn’t exist anymore. It simply cannot last. The fish will disappear if they have not already done so (Patong beach is already devoid of marine life), the water will lose its lustre and it will become impossible to sell Thailand as a tropical paradise. There was a chance all this to change, for the clock to be reset as such. 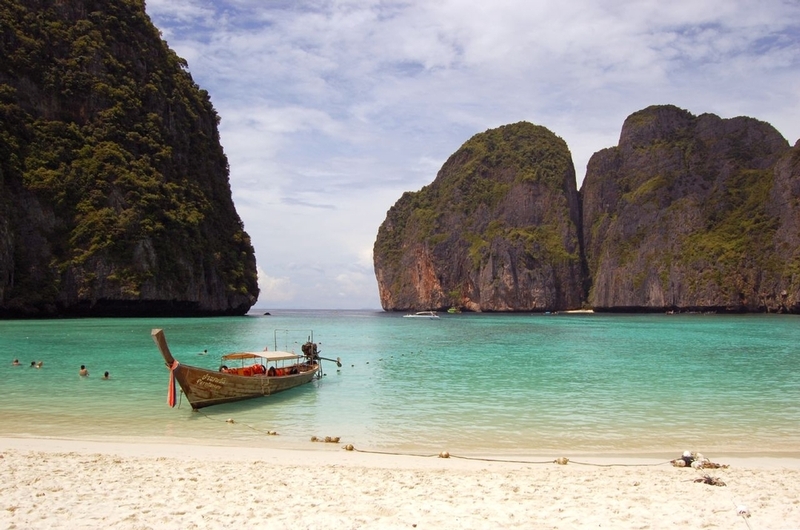 The tsunami in 2004, as horrific as it was, provided an opportunity for a new strategy to be implemented; a strategy that could ensure the longevity of the natural beauty of Phi Phi and still provide the economic benefits that come from tourism. But it didn’t happen and I don’t think it ever will. It is sad. Sad to think that such a place, and many more like it around the world, is being destroyed simply as a result of people wishing to visit it. Sad that no foresight has gone into creating the system in a manner that takes all aspects into consideration: the environment, the locals, the economy and the tourists. We need to begin to take a step back, look at the impact of what we do and implement the changes necessary to ensure that places like Phi Phi will be around for the next decade and the next century after that. I don’t want to show my children pictures of my trip to Phi Phi and then have to tell them they they needn’t go, because it doesn’t exist anymore. I have borrowed the title of this post from the marketing tagline of Contiki, the tour company that I used for a section of my travels in the United States. For those of you who haven’t heard of them, Contiki specialise in bus tours for travellers aged between 18 and 35 and run tours all over the world, from South America to Australia. Tours can last anything from a whirlwind 3 days to an epic 37 days and see you hopping from city to city with a group of up to 50 people sampling the sights, sounds and flavours of the local culture. My tour, the Eastern Discovery began in the historic Gulf Coast city of New Orleans, Louisiana. After two nights in New Orleans, getting to know the bus-load of people I was going to be spending the next two weeks with, we set off on a journey that would see us visiting historic towns such as Savannah, Georgia, and Charleston, South Carolina, and tourist meccas such as Orlando (the home of Disney World) and Miami. After winding our way through the South we would emerge to spend three nights in Washington DC and to finally say our goodbyes, after two weeks on the road, in New York City. Now, I had previous experiences on bus tours having spent three months in New Zealand travelling on the Stray bus (an experience you can read about in this article) but, truth be told, Stray and Contiki are completely different animals. Stray’s entire selling point is that it offers you complete flexibility. You can get off the bus whenever you choose and get back on when you are keen to move on. This approach suited me in New Zealand because I had the time to explore almost the entire country at my own pace. Contiki is almost the exact opposite. On a Contiki tour nearly everything is planned for you. You start on a specific date, stay in the same accommodation as the rest of the group and a majority of your meals are pre-organised too. The advantage of this is that it takes the organising out of your hands and leaves you free to enjoy the trip without having to worry about where you are going to sleep. Contiki is great if you want to see a large number of places in a constrained amount of time. What this does mean, is that, unlike with Stray, you never get the opportunity to truly explore any of the places you visit. I found myself getting quite frustrated when the bus would pull into a place like Savannah at 4 in the afternoon and we knew we would be leaving bright and early the next morning. There were stops on the trip, such as Savannah or Charleston, that I could easily have spent a few extra days exploring and getting a feel for the unique culture of each town. Alas, that is not possible with Contiki. What you get instead, is a brief overview of a large number of places, allowing you to craft a list of stops you might someday return to. As an idea, in my 14 day trip we stayed overnight at 10 different places and stopped in at least 14! 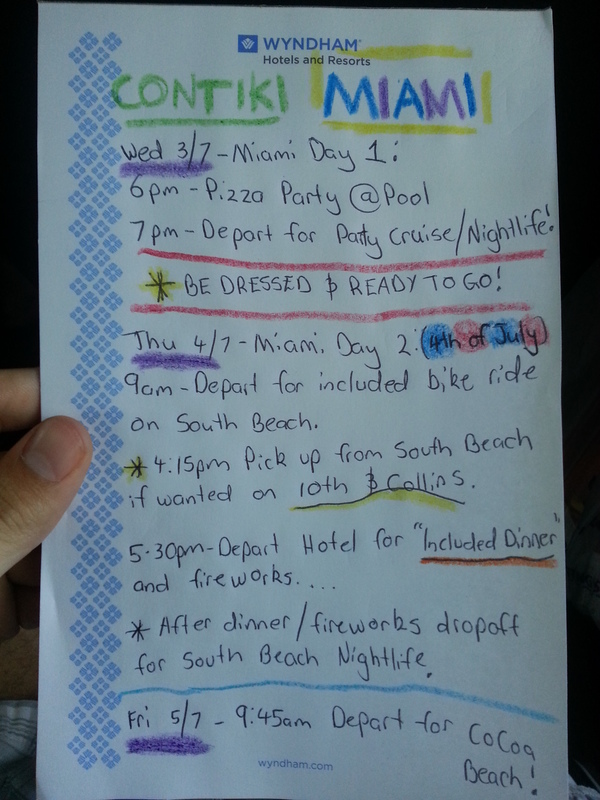 The schedule for a hectic couple of days in Miami! One very important aspect to Contiki is the other people you share the bus with. There is no avoiding the fact that you will be spending the entirety of your trip with the same bunch of people, so you are going to have problems if you don’t get along. I was lucky enough to find myself on a bus with a fantastic group of people (95% of whom were from Australia! ), from all walks of life and spanning the entire age-range who, along with our driver, The Unstoppable Marquis Harden, and tour manager,The Epic Mike Glasner, made the 14 days fly by in an epic highlights-reel of dress-up parties, ghost tours and roller coaster rides, literally. My two weeks on the Contiki bus will not easily be forgotten and I can only encourage you to try it out for yourself if you have never done it. As the title suggests, I have no regrets and neither will you.